The Greens have proposed a fast electric bus service that will whisk commuters from Dandenong to Melbourne’s east and north-east suburbs via EastLink. The Rapid Bus Network service would travel from Dandenong Central to Austin Hospital in Heidelberg every 10 minutes on weekdays and 15 minutes on weekends. It would stop at Caribbean Gardens, High Street Road, Burwood Highway and Heatherton station. The journey would continue along Eastern Freeway to Middleborough Road, Westfield Doncaster, Bulleen Plaza, Heidelberg Station and Austin Hospital. It was one of 11 rapid bus routes proposed for the North-East, East and South-East at $1.63 billion over 10 years. Greens South-East Metro MP Nina Springle said the route would open up options for commuters crossing the eastern suburbs. “Finally people can get from the southeast to the east and north east without having to go via the CBD. The electric bus fleet would run on bus lanes and priority signalling. They will include free Wi-Fi and USB chargers, as well as bike racks and wheelchair spaces. Ms Springle said the bus network could be rolled out within 18 months. 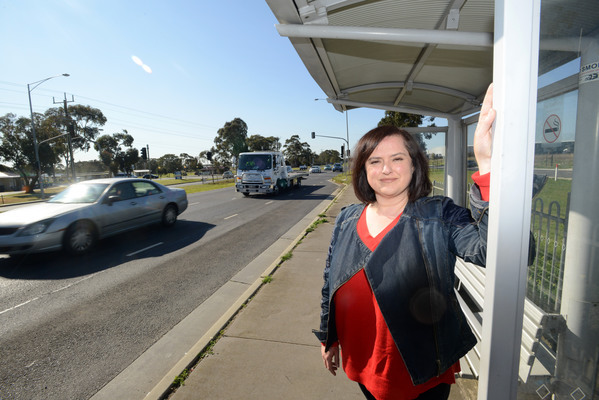 Dandenong MP Gabrielle Williams cited the Government’s achievements such as Metro Tunnel, a series of level crossing removals, building railway station car parks and $200 million towards better bus networks.